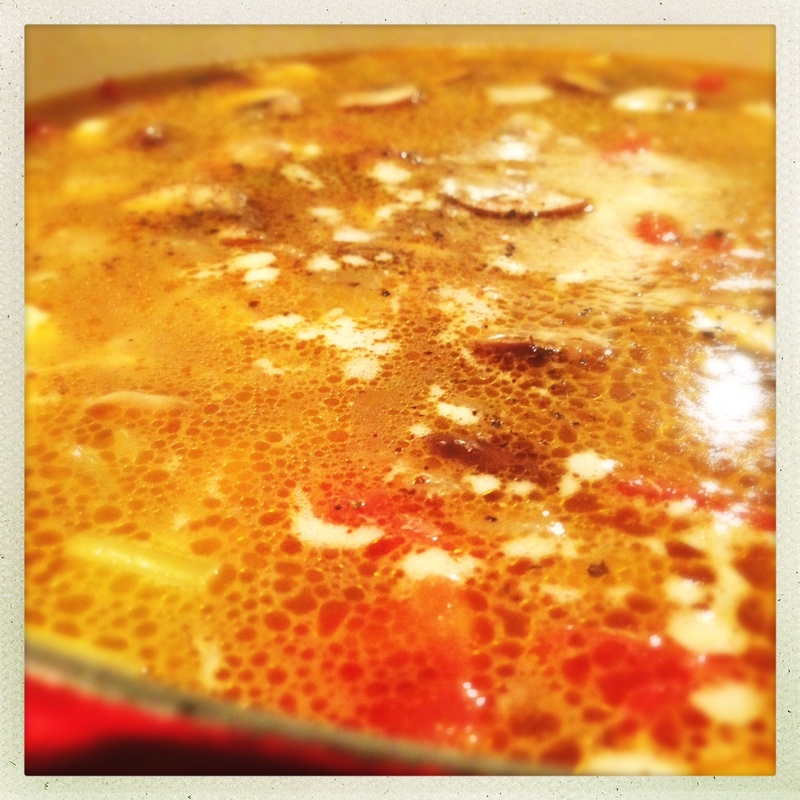 There’s no shortage of soups on this blog so far, but this will be the first truly homemade stock I’ve posted. This recipe is the result of leftovers from my dutch oven chicken recipe. 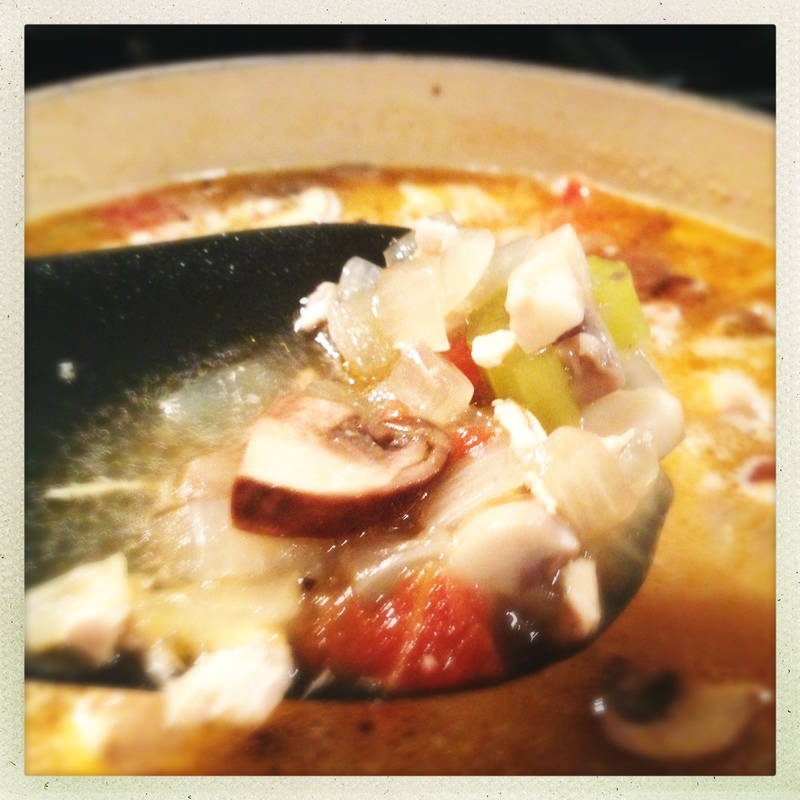 The drippings, along with the leftover vegetables and chicken, were used to start the stock for this soup. Soup is a great comfort food in the fall. Nothing warms you up on a chilly day like a bowl of soup, and no soup is as delicious as a homemade soup. Using the leftover chicken and vegetables to start this soup gives a wonderful, hearty flavor to the broth and is also a great way to use up leftovers that would otherwise invariably take up permanent residence in your fridge. So, let’s get started! *I deviated from the recipe from my last dutch oven chicken post, so the vegetables in this batch included yellow onion, celery and tomato. 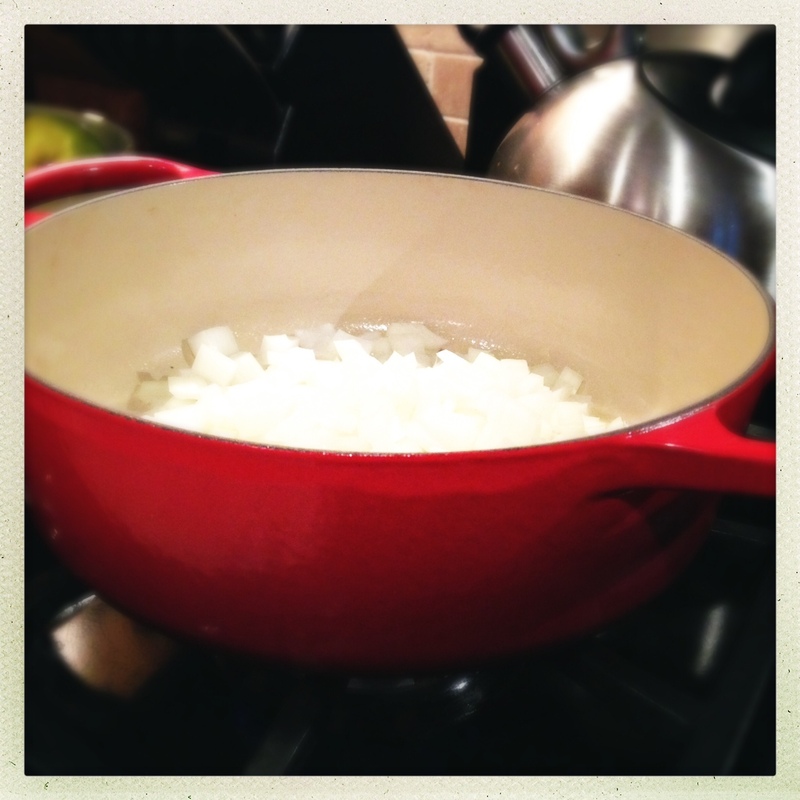 Otherwise, the recipe was identical to the previous post. Remove the bones and skin from the leftover chicken. Chop the chicken into small pieces. Set the chicken, vegetables and drippings aside. Even though there was already onion present in the leftovers, I start most of my soups with another onion and some garlic to boost the flavor. 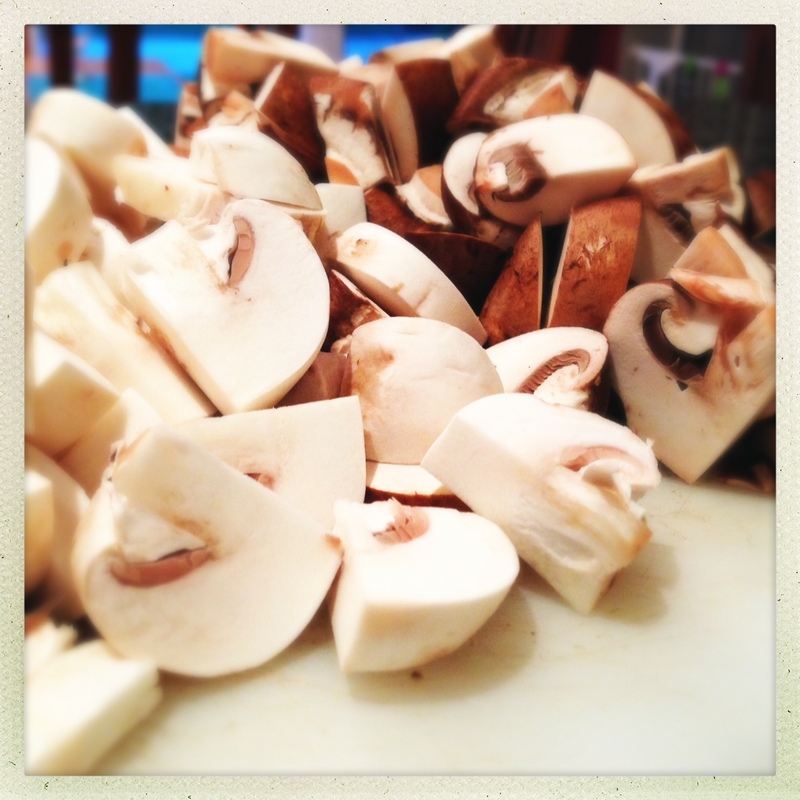 While the onion is cooking, slice or quarter your mushrooms. It will look like a lot, but they will cook down considerably in the pot. Add the garlic and the mushrooms to the pot and continue cooking. You may choose to add a little more butter or oil with the mushrooms if things are looking a little dry. I also like to season with a little black pepper at this point. Once the mushrooms have started to soften, add the chicken, vegetables and drippings from your leftovers. Add the chicken stock and stir thoroughly. Season with a little more black pepper to taste. Also add the hot sauce if you choose – this does not make it “spicy” since you’re only adding a few drops to a large volume, but it really helps perk up the flavors a bit. It’s optional, of course, but I think it really makes a difference. You can’t fake the look of a real homemade stock – nothing in a can or a box will look or taste as amazing as stock you make in your own kitchen! 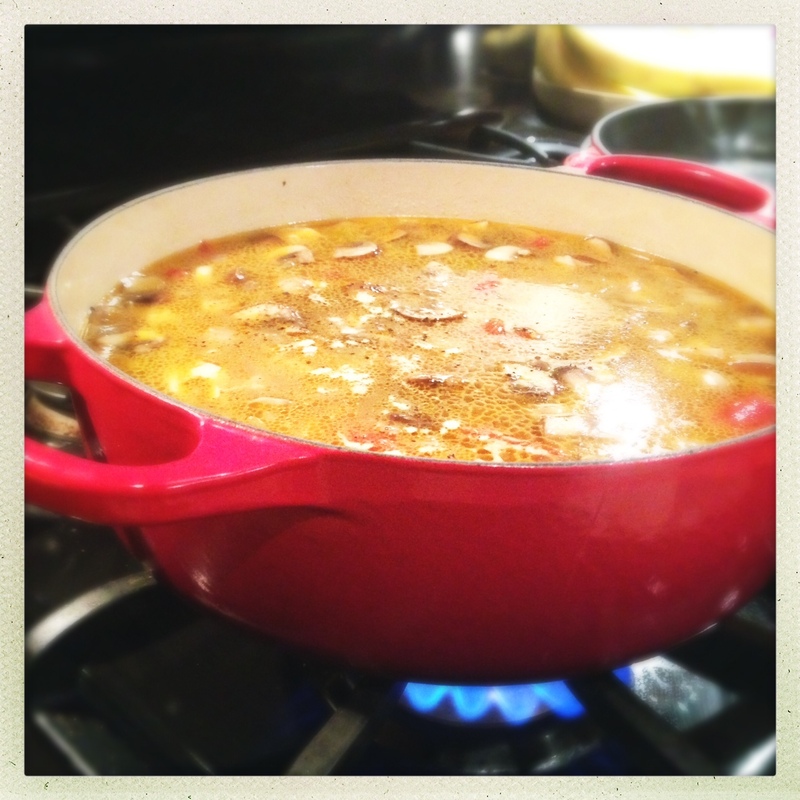 Bring the soup up to a simmer and let the flavors mingle for at least 20-30 minutes before serving. This makes a great meal all by itself, or you can pair it with a nice salad and a crusty rye bread or a baguette. However you choose to serve it, this soup breathes new life into your leftovers – and this can obviously be applied to any leftovers you may have. Pick a stock that matches the meat from your leftovers, or just stick with a basic veggie broth – add some beans or whatever you like, and your leftovers transform from boring into delicious Eats For All Ages. Enjoy!